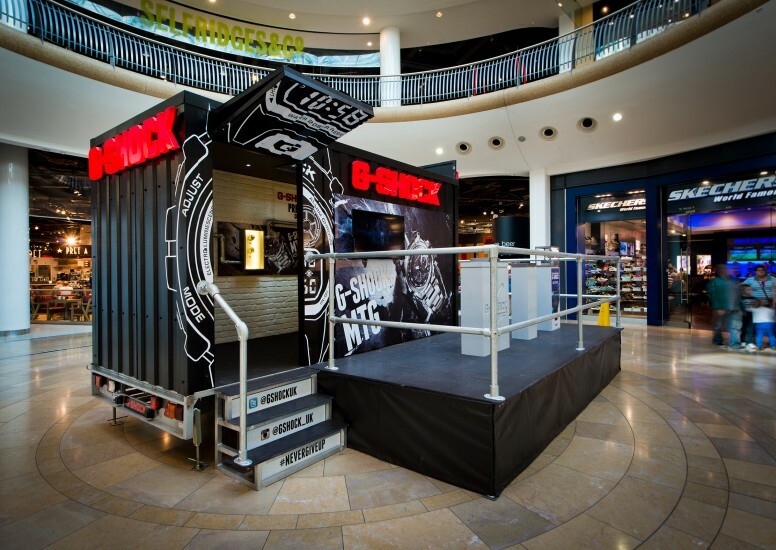 Designed, developed and produced by Design4Retail, this cool travelling pop has been doing the rounds at various shopping centres in the UK. 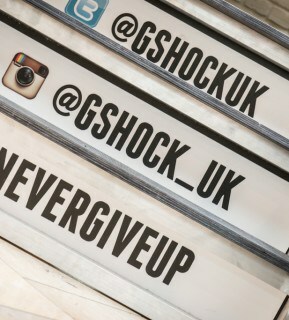 Having done time at Lakeside, Meadowhall, The Bullring Birmingham and the Highcross Leicester. 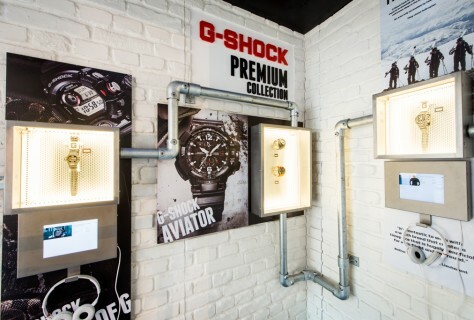 Working in partnership with UK retail partners this unique retail experience showcases a range of the G-SHOCK portfolio of watches. 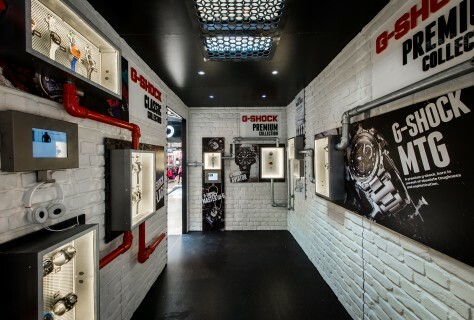 You can even get the chance to win a G-SHOCK experience if you visit the exclusive pop up shop! 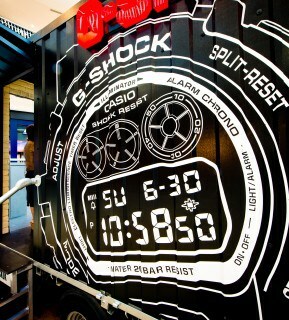 The stylish Pop-Up trailer shop, styled around Casio’s iconic premium watch, will contain interactive content, special products and promotions.